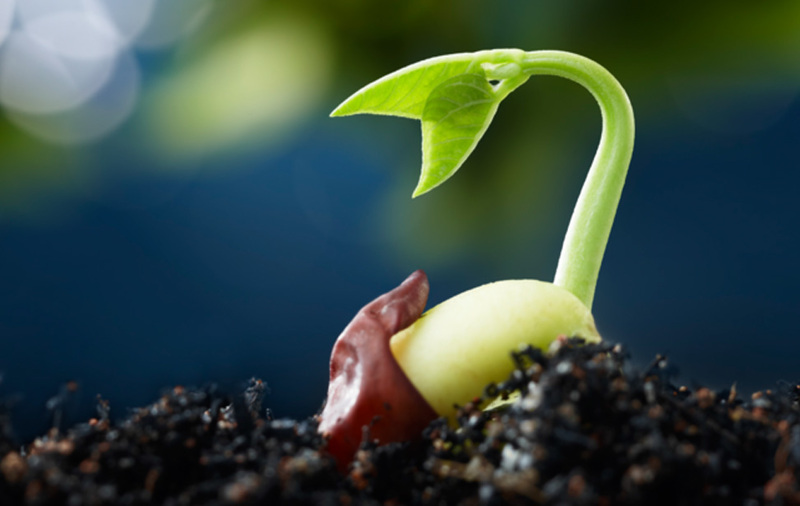 Seed germination is the process from seed to a sprout in which the metabolic machinery of a plant gets activated after a period of dormancy. A high seed germination percentage is important for vegetable production. Temperature, seed age, water and oxygen all have to be correct, to get high rates of seed germination. The process of germination is not only important for farmers to grow new plants, its also important in the food and beverage industry where the germination process is also been used but than its called malting. All whiskey and beer is produced via malting. The importance here is not the germination but the change from the starch in the seed in to sugars. Ultrafine Bubbles are useful in accelerating the metabolism of living organisms, but the mechanism is not yet well understood. In a study, they investigated the production of reactive oxygen species (ROS) by Ultrafine Bubbles and the effect on seed germination. Micro bubbles are bubbles with a diameter ranging from several micrometers to about 100 μm. UItrafine bubbles are bubbles with a diameter of submicrometer. Ultrafine bubbles have an effect on living organisms and influence oxidation. Water containing ultrafine bubbles can accelerate the growth of plants, shellfish, and yeast. Furthermore, ultrafine bubbles are used to improve the oxidation effect. Ultrafine ozone bubbles can be used to remove pesticides residual from vegetables. They can inactivate micro-organisms and reduce organic material in wastewater. Apart from the oxidative capacities of ultrafine bubbles, it became apparent, during ultrafine bubble generation, the creation of exogenous reactive oxygen species (ROS) under the presence of strong acids or UV light. ROS are chemically reactive molecules containing oxygen, examples are peroxides, superoxide, hydroxyl radicals and a single oxygen. In nature, the formation of ROS is a by-product of oxygen metabolism. During environmental stress heat or UV, ROS levels can increase significantly, and this can lead to cell damage. We call this oxidative stress. Apart from the natural generation of ROS by the living organism itself, ROS can also be generated by sources outside the plant. Production of exogenous ROS can come from tobacco, smoke, drugs, xenobiotics or radiation. It`s important to understand that ROS have both positive and negative impact on plants humans and animals. Germination improvement of cereal plants like barley, wheat, and rice by adding H2O2 as a kind of ROS. When added in the right amount it`s not harmful to the seeds, it helps to loosen the cell wall which is an important signal function to start the growing process of the plant. In the study, seeds were germinated under five different conditions, with distilled water, three different concentrations of hydrogen peroxide and ultrafine bubbles. To avoid the influence of dissolved oxygen (DO) the levels of water were adjusted to be the same as that of distilled water. The conclusion of the study was that adding H2O2 stimulated the ROS production in barley seeds and after 17 hours of germination the seeds in ultrafine bubble water had a higher germination rate than all those submerged in the different H2O2 solutions. Reactive oxygen species are often seen as damaging compounds for the development of cancer and other diseases. On the other hand, when no reactive oxygen species are present a seed will not germinate. There for the concept of the "oxidative window of germination" is introduced indicating that only successful germination will take place with the correct amount of reactive oxygen species. More research is required to fully understand the mechanism of ultrafine bubbles and the physiological promotional effects. The reason why ultrafine bubbles are more successful than H2O2 could be that during storage the bubble concentration gradually reduces it could be that the disappearance of ultrafine bubble causes a constant production of ROS in the water. The above post compiled from materials of ACS Sustainable Chemistry Engineering. Content edited for style and length.